What exactly is Digital Citizenship? I had to look this up; there are so many buzz words flying around out there, as well as new social media that keeps popping up! I've heard of digital natives, tech-savvy, but what exactly is digital citizenship and how does it affect my teaching? 1. Do protect private information: Don't share personal information, including passwords, your home address, inappropriate images, and gossip. I keep emphasizing that once something is out in cyberworld, it is never completely gone. . .even if they delete it!! 3. Do stay safe online: A good rule of thumb: If they wouldn't do something in real life, they shouldn't do it online. Tell your kids that people aren't always who they say they are online. Explain that if someone they don't know talks to them, they shouldn't respond and should let you know. Kids are impressionable, and marketing takes advantage of sophisticated devices -- demographic data, psychology, developmental characteristics, and behavior traits -- to determine the most effective ways to influence them. Media education -- teaching kids to think critically about advertising -- can help them see through persuasive techniques. 4. Do stand up to cyberbullying: If someone you know is being targeted by a bully, stand up for that person. You would want him or her to do the same for you. Shannon at Technology Rocks. Seriously has created some FREE posters and these great bookmarks!! She always has excellent, helpful ideas! 6. Do balance your time: Doesn't this "Do" hit home? I know I am easily sucked into HOURS passing by on my phone or computer!! Consider creating a schedule for screen time. Spend time outdoors! The American Academy of Pediatrics (AAP) -- one of the only established organizations to make recommendations on screen time -- discourages screen time for kids under 2 and advises limiting daily screen time to one to two hours for older kids. Studies have shown a link between heavy media use and issues such as obesity, lack of sleep, academic challenges, aggression, and other behavior difficulties. The reality is that most families will go through periods of heavy and light media use, but, so long as there's a balance, kids should be just fine. 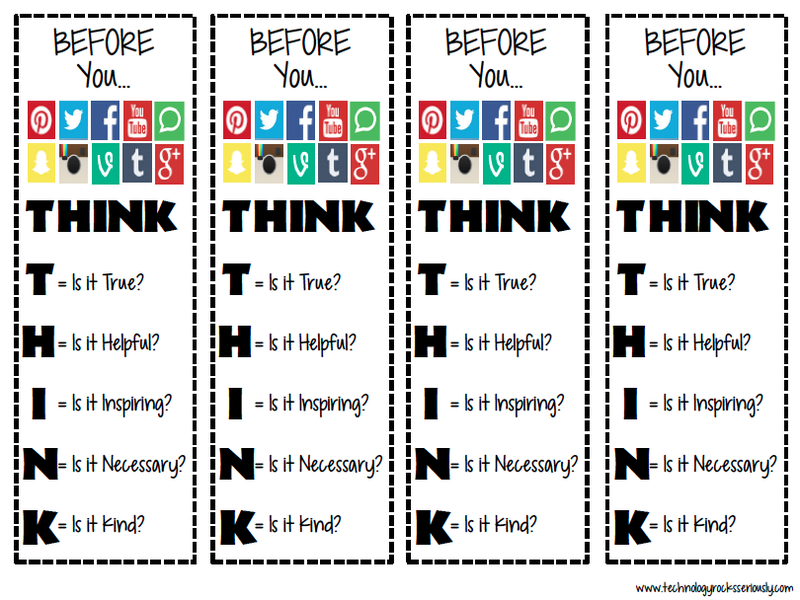 There are a plethora of websites and resources on Digital Citizenship (thank goodness!!). Here are few that I found helpful; all were filled with information and written in a teacher-friendly format. 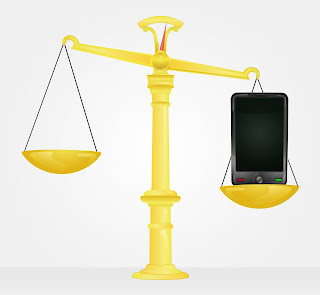 Be sure to mark your calendars: Digital Citizenship Week is October 19-24, 2015!! 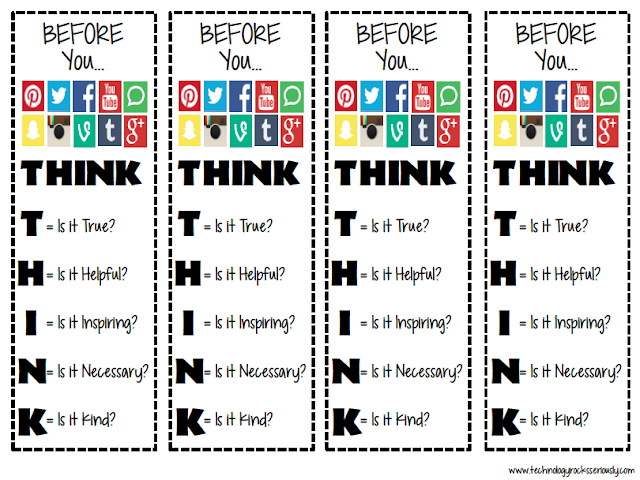 Click on the button below to read more ideas for teaching Digital Citizenship! How do you teach your students internet safety and responsibility? Please share your ideas! Great Post. I really like what you said about balancing your time. I'm terrible about this because I'm a bit of a work-a-holic and once I start focusing on something, I can't stop! I just love your tree, so creative. I agree with so many things you've written here, esp the tip about Balancing Your Time. I really have to get better at this one. I had no idea that there is a digital citizenship week in October. Thanks for sharing this great post. Thanks, Deann! I learned so much when we I heard about the topic & started researching ! I'm excited to implement these 6 Do's!! These are fabulous tips and so very important to incorporate in any classroom now as we work with our digital natives. Thanks for sharing! There's so much new information for us as teachers to learn!! Thanks for stopping by, Alison! I love the tips, and the bookmarks are awesome! Our science teacher did Common Sense media with the entire sixth grade this year. She said she highly recommends the curriculum. Nice work! I'm so glad to hear the positive report about Common Sense media; I just passed along to our computer lab teacher, too! A great list Kathie. I love Common Sense Media! 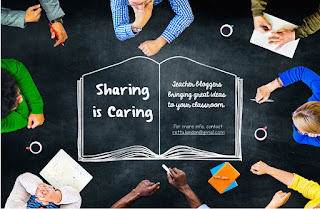 The curriculum they have is wonderful -- and can be used by any teacher. An amazing resource. Thanks, Mary! I was so excited to discover Common Sense also! The more I was researching digital citizenship, the more I realized how much is out there (that I wasn't accessing)! !